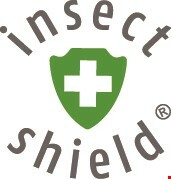 A study published in the Journal of Medical Entomology indicates that Insect Shield® permethrin-treated clothing has promise as a personal protective measure to prevent bites by medically important ticks in the United States. GREENSBORO, NC & SEATTLE, WA – Lyme disease is one of the fastest growing epidemics to date with numbers of US cases reported per year skyrocketing to an estimated 329,000 – a 25-fold increase since surveillance began in 1982. According to a new report by Quest Diagnostics Health Trends™, Lyme disease can be found all 50 states and the District of Columbia. Yet, Lyme and other insect borne illnesses are preventable, with one caveat - awareness. A recently released study conducted by the U.S. Centers for Disease Control and Prevention (CDC), published by the Journal of Medical Entomology, confirms the efficacy of Insect Shield® permethrin-treated clothing for personal protection against ticks. Ten different types of permethrin-treated clothing purchased directly from Insect Shield were included in the study. Both laboratory-reared and field-collected ticks were utilized to determine effectiveness. Researchers found that not only did the clothing affect the blacklegged tick (Ixodes scapularis) that carries Lyme disease, it also had had similar effects on both the lone star tick (Amblyomma americanum) and the American dog tick (Dermacentor variabilis), which also carry life threatening diseases. As stated in the study, the findings indicate that permethrin-treated clothing has promise as a personal protective measure to prevent bites by medically important ticks in the United States. This agrees with the findings of previous studies where use of permethrin-treated clothing reduced the risk of bites such as (Schreck and Vaughn and Meshnick 2011; Vaughn et al. 2014). Permethrin has been successfully used in the United States as an EPA-registered product since 1977, with an excellent safety record. The US Army has been using permethrin as a form of protection for its soldiers since the 1980’s. All Army uniforms are pre-treated with a long-lasting permethrin application. Insect Shield’s EPA-registered permethrin technology is leveraged by the US military, 75+ global brands and numerous international relief organizations to help protect users from insects that can carry dangerous diseases. “We applaud this study. It adds to the depth of science that has long existed to support the use of permethrin-treated clothing as an excellent form of personal protection for families and outdoor workers against ticks that can carry dangerous diseases,” says Haynes Griffin, Insect Shield CEO. “We are hopeful that this new information will work to further educate a much broader consumer about the effectiveness of permethrin-treated clothing and gear and save many more from the agony of contracting Lyme or other tick-borne illnesses,” adds Griffin.